I’m a loyal fan of Apple. I have different Apple devices that I use all the time. One device I use is my Mac. I placed a security feature in it so it can’t be used by anyone else especially if it’s stolen. However, I forgot my password. How to reset Mac password? Don't worry. We will solve this problem for you in detail below. Part 1: Why do I need to set a password for my Mac? Part 2: How to prevent yourself from forgetting your passwords? 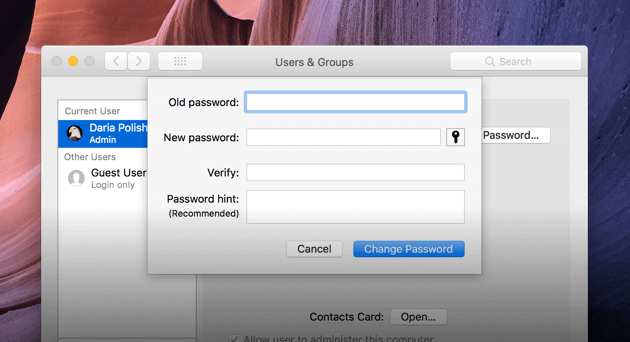 Part 3: How to reset Mac password? Apple’s new operating system, macOS has a robust security system that puts data protection at the forefront. Whenever you log in, download a new application, or delete files and software, you are always required to enter your password for Mac. There are a few tricks you can do to avoid forgetting your Mac password. There are also methods you can apply to reset your Mac password. Usually, when Mac users do not remember their passwords, it is a result of a cluttered Mac device. Because people get used to going through a lot of information every single day, they have a tendency to forget important information. 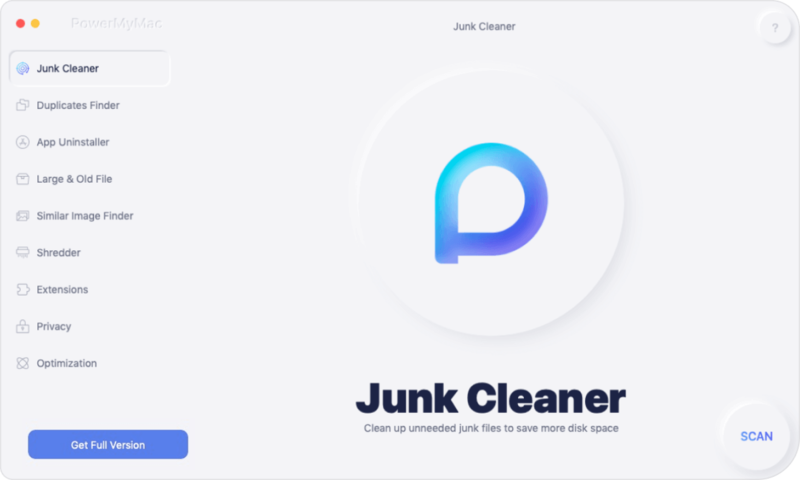 Thus, the first thing to do is to clean your Mac up ensuring that your new password is the login detail you need to enter into an organized and clean device. 1 - One-Click Process - You can easily scan your Mac device and clean unnecessary files with one click. 2 - Powerful - It has a robust application that scans your Mac comprehensively. All things can be checked and displayed on the interface including CPU status, Memory, Disk, and Battery state. 3 - Selective - Scanned results of unnecessary files can be sorted by size, time, and other factors. You are allowed to select and preview the items before you actually delete it. You have everything under control. 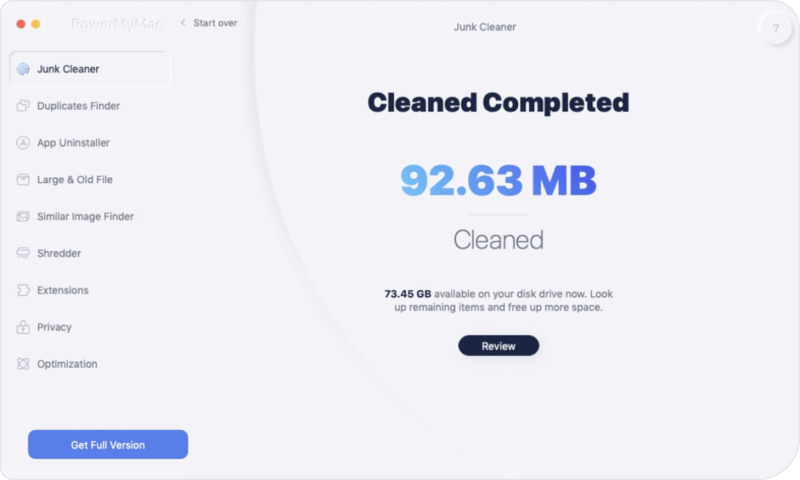 4 - Free Trial - The Mac Cleaner is free to try for the first 500MB of data. You can experience the stellar features of the tool at no charge. All types of files can be removed to free your Mac of space. Download iMyMac-Cleaner using your browser. Launch the software on your computer. It will show the system status of your device. On the left-hand side, select Junk Files module. Click the Scan button to scan the entire Mac. Wait until the scan is complete. It will show you a list of Junk files in various categories. These categories include Application Cache, Mail Junk, Photo Junks, System Cache, System Logs, User Logs, and Trash Bin, among others. Select a particular classification and view the files under it on the right-hand side of the screen. Select the files you want to delete. Click Clean. Confirm the process and wait for it to finish. The program will display that folders and files are Zero KB. Some will not be seen as such because they are auto-recreated folders. Repeat steps 1 to 6. However, in step 3, select Clutter OR Large & Old Files to clean up other files in your Mac device. Before you actually reset your Mac password to a new one, you should always see if the hint helps you remember the password. The hint refers to the phrase related to your password. You entered it when you were setting up your password before. The hint is triggered when you incorrectly entered your password three times. 1 - Launch System Preferences (the one with the cog icon). 2 - Choose Users & Groups. 3 - Go to the bottom left corner of the screen and press the Lock icon to make modifications. 4 - Press Return key for about three times. The screen will vibrate every time you press the Return key. The third vibration will show you the password hint. It will be displayed below the field Password. Hopefully, this will help you remember the actual password and bring an end to your troubles. However, there are times when the hint doesn’t appear. This is because the Mac device was not set up to display your password after three incorrect attempts. This can be set up in the Login Options which can only be changed IF you are able to open your Mac with the correct password. Fortunately, there are different ways you can use to reset Mac password or find your password. If you share your Mac device with your friend or family member and they have their own personal account in it, you can utilize their login details to reset your previous password. Step 1 - Go to the tools bar and check out the top left side to see the Apple logo. Click on this Apple logo and then press Log Out. Step 2 - Go to the other account and input your password. Step 3 - Go to System Preferences. Then, go to Users & Groups. Step 4 - In the bottom left corner of the screen, click Lock icon. Step 5 - Input the password one more time. Step 6 - Go to the Sidebar and select the account you have forgotten the password to. Step 8 - Fill in the fields named New Password, Verify, and Password Hint. Step 9 - Press Change Password. Now, the password on the account you have forgotten before has been changed. Thus, you can log in with the new password. However, this does not result in the modification of the Keychain password (password management system of macOS). This leads to another problem. Since if the other user is not registered as the actual Admin, this other user will not have the ability to modify the password. However, there is an alternative way of fixing this problem. Apple gives you a certain tool to replace a Mac device’ password. In this method, you will bypass all previous steps stated. If a password hint is not available, if you don’t have another account you can log into, and if you have forgotten your password completely, this is the best method to use. Step 1 - Turn your Mac off. Step 2 - Press Power button while you are pressing Command + R.
Step 3 - Mac will now go into Recovery Mode. You can let go of all the buttons you pressed if the load bar is displayed. Step 4 - Choose Disk Utility. Click Continue. Step 5 - Visit Utilities and then select Terminal. Step 6 - Enter the following, ‘resetpassword’ and then press Return key. Step 7 - Choose the main hard drive. Step 8 - Choose the User Account that you would like to modify. Step 9 - Input a new password. Plus, formulate a specific password hint. Step 10 - Press Save. A specific warning that states that modification of the Keychain Password has not been done. Press OK. Step 11 - Shut your Mac down. Open the device again. Now, you can log into the device with the new password you have just created. We have shown you how to reset your password using Recovery Mode. Thus, you might be wary of the fact that anybody can steal your device and change your password. But, there are methods to stop this from happening. 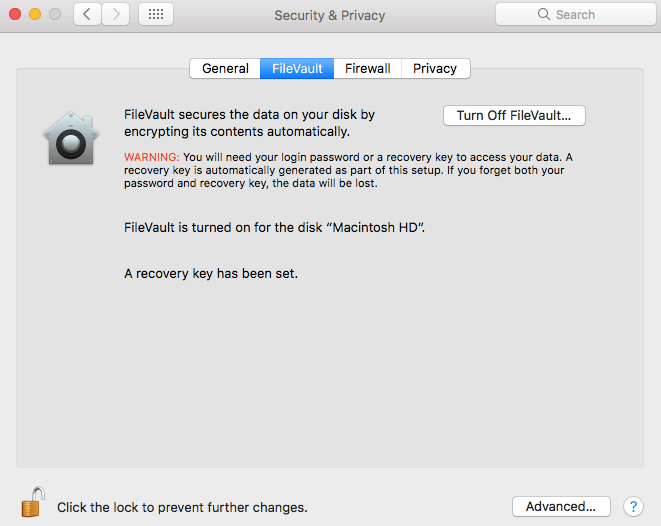 The best method you can utilize to protect your data is to activate FileVault encryption. The Password Reset method cannot be utilized if this happens unless you actually unlock it using Disk Utility. Once you are finished with this, you will be given a password and a Recovery Key which you should remember all the time. If you lose this password and Recovery Key, you will lose your data forever. Another method you can use to protect your data is to use iMyMac-Cleaner. Using its various tools can help you clean up your Mac device and monitor your system regularly. Thus your data is regularly checked and protected against cybercrime. 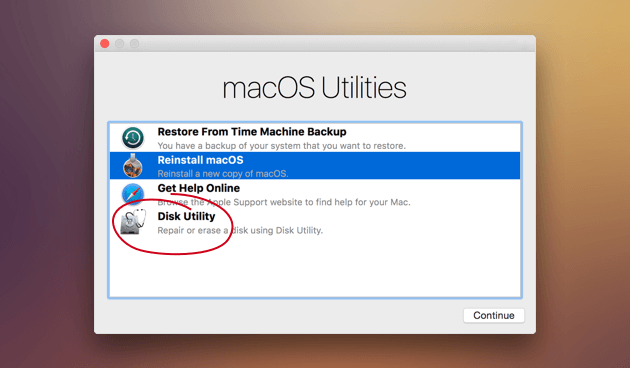 If everything stated here didn’t work, you can always use Target Disk Mode to recover some files from your lost Mac. You do this by utilizing another Mac device to access the hard drive (of the Mac that cannot be opened) and save data you might want. Step 1 - Shut down Mac device. Step 2 - Connect it to another Mac device using a Thunderbolt cable or a FireWire. Step 3 - Open your Mac again and press the T key while it is loading. Hold this key. Step 4 - Target Disk Mode will be activated. The hard drive of the Mac that cannot be opened will not be displayed. This allows you to save data from the lost Mac onto the other device. It is always best to take note of your Mac password. However, in serious cases where you can’t remember it, you can use various options to recover it. One is through the password hint. Another is through changing it with another user account on the device. You can also use Recovery Mode and Target Disk Mode. Remember to always protect your device from cybercrime and unwanted hacks through iMyMac and its tools. 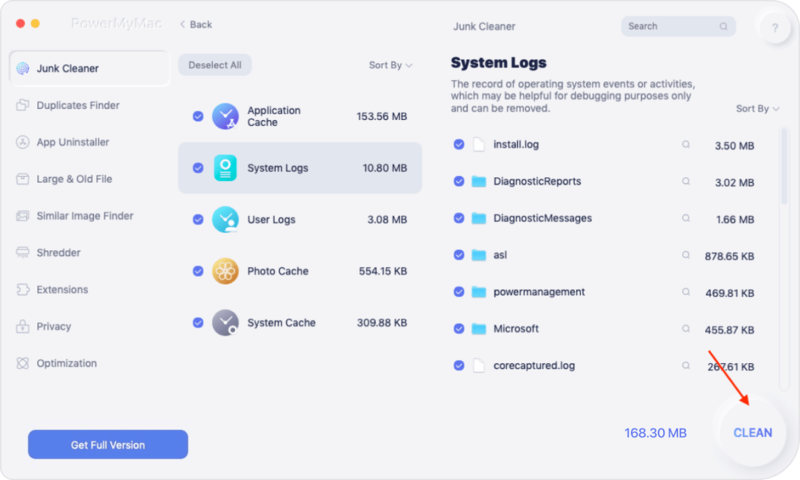 You can use the iMyMac's Mac Cleaner to clean up your device from unnecessary files and be able to organize your Mac properly. Regular check-up and clean-up of your Mac device using iMyMac-Cleaner can be a great way to shield your device from malicious software and hackers. / Mac Cleaner / How to Reset Mac Password?